Paid directly to the homeowner from Trane. CONSUMER CAN HAVE REBATE ONLY OR REWARD & FINANCING IF THEY QUALIFY. Disclaimer: Bill Owens Heat & Air Inc is not responsible for discounts being lost in the mail, declined or rejected by Trane. Customers must lock in either they are participating in financing and rebate. Once this choice of reward only or reward and financing is made it cannot be undone. IMPORTANT: All claims must be submitted within 30 days of the date of installation of the Qualifying Equipment or by May 15, 2019 for Option 1 or May 31, 2019 for Option 2, whichever comes first (“Submission Deadline”) to be eligible under this plan. No rebate or financing will be given for claims received after Submission Deadline. This includes homeowner claims for rebates. 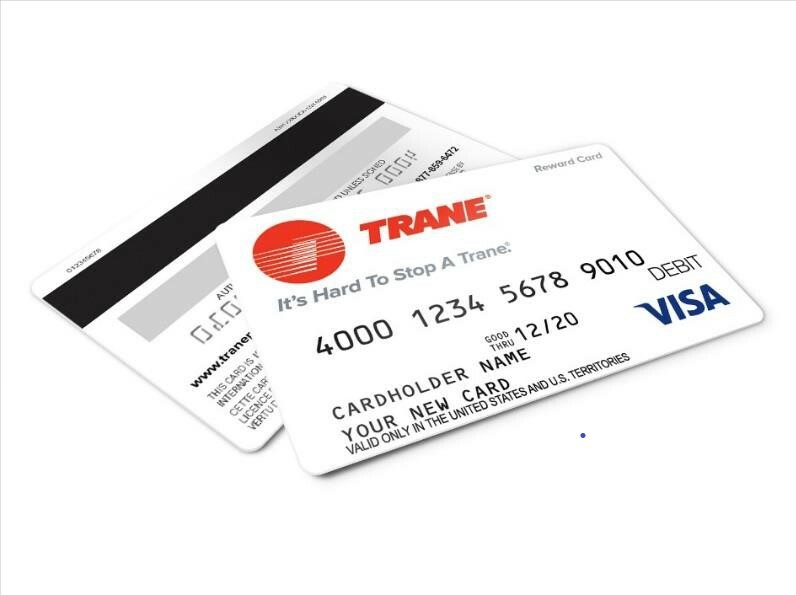 *Rebate paid in the form of a Trane Visa Prepaid® card. Use your Visa Prepaid card anywhere Visa debit cards are accepted in the United States and U.S. Territories. The card may not be used at any merchant, including internet and mail or telephone order merchants, outside of the United States and U.S. Territories. Card is issued by The Bancorp Bank, Member FDIC, pursuant to a license from Visa U.S.A. Inc. Pay close attention to the expiration date printed on the front of the card. Card is valid through the last day of the month. You will not have access to the funds after expiration. Homeowner will receive NO CREDIT for claims received after Submission Deadline. See our Energy Rebates page for more details. Check out the promotions from Chattanooga Gas. Chattanooga Gas Direct Incentive Program rebates will continue on through the end of 2017. These rebates are applicable when replacing an electric/propane water heater or furnace with a straight natural gas water heater or furnace. Even oil appliance conversions will qualify. For additional program details and the rebate online submission form, please visit the below links. For our specials on this seasonal promotional offers, please check out the Financing page. Don't forget to look at out Energy Rebates page. Purchase/Sales Date/Wells Fargo Approval-Application: March 15 - May 30, 2017.